His offspring have proven that the Judges are right. His offpring have uniform locks, lots of luster and are very dense. At the Calif Classic 2014 he had 6 offspring entered into the show. 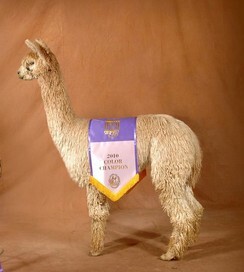 Five got 1st place ribbons and 1 got the Color Championship in the only class of Suris to have a Championship. Maccoyo Maximum was evaluated by SHIP classifier, Cheryl Gehly, in February of 2018. She observed that his conformation was perfect 5's, and he only had 1 4 in fleece. She also looked at his offspring, and we discovered that Max apparently has the Magic Ticket to bringing the primary and secondary fibers into a uniform micron. as well as adding density. 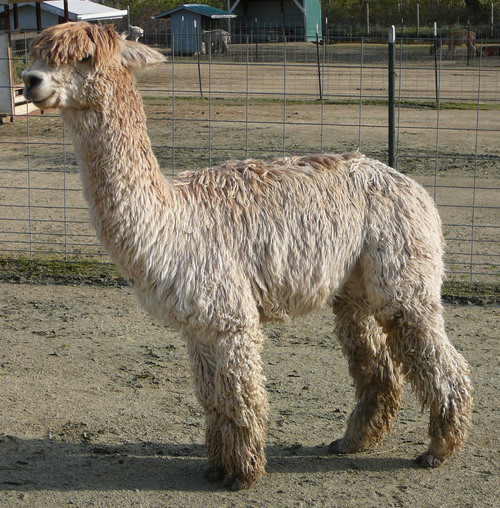 His offspring had the heaviest fleeces in our herd! 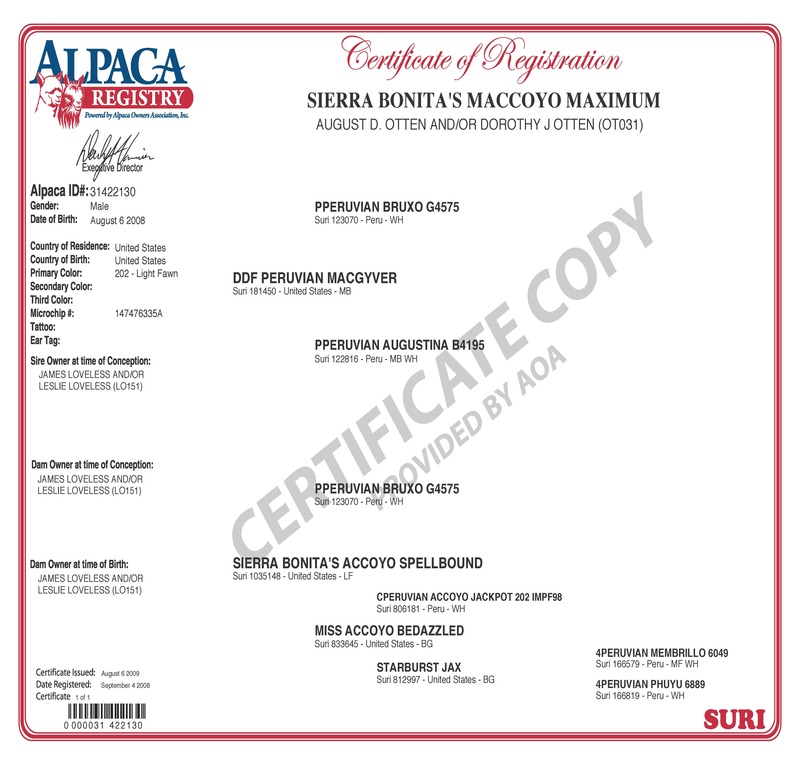 If you have a wide span between primary and secondary fibers, need a conformation fix, and want alpacas with sweet temperaments, Maccoyo Maximum is your best choice for a herdsire. Make your reservation today.